Emery is using Smore newsletters to spread the word online. The GPD is not really high because they have no exports and little land. The GPD is 60.81 billion dollars. Things that people farm in Cuba are sugar, tobacco, citrus, coffee, rice, potatoes, beans and also livestock. The real growth rate in GPD in 2014 was 1.3% better than 2013. Cuba labor force is 18% agriculture, 10% industry, and 72% services. the GPD per capita in 2010 was 10,200 dollars. machinery, and sugar. Cuba's currency is the Cuban Peso and the Convertible Peso. Their unemployment rate is at 3.8%. 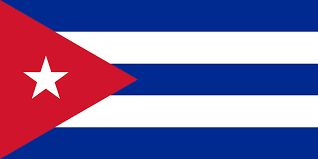 Cuba's is ranked 71 out of 204 for there GDP at $60.81 Billion. Brazil is the 7th largest economy in the world. Brazil has the largest economy in Latin America. Brazil's GDP is ranked 8th out of 177 countries. They have a stable workforce and a lot of natural resources. They produce the most hydro electric power in the world, and they are not dependent on other countries for oil. Brazil has large agricultural, manufacturing, mining, and service sectors. The main exports are manufactured goods, iron ore, coffee, oranges, other agricultural produce. The unemployment rate is 5.5%. In the next 10 years the World Bank has predicted that Brazil will become the fifth largest economy in the world. The name of brazil's currency is he Brazilian real. Mexico has a free market economy. since NAFTA Mexico's economy has become increase oriented towards manufacturing. Mexico is the second largest export market for the united states. it is also the third largest source of import. 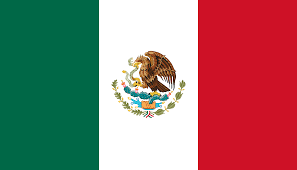 Mexico's per capita income is one third that of the united states. Mexico's currency is called the peso. Their GDP is $1.18 trillion. Current unemployment rate is 5%. 51.3% of the population lives below the poverty line. Industries include food and beverage, tobacco, chemicals, iron and steel, petroleum, mining, textiles, clothing, motor vehicles, consumer durables, and tourism.